Click on the links below to read our legal stuff. We receive a booking deposit or full payment has been received. We send you a Booking Confirmation by post and/or by e-mail. or on-line over the Internet that your booking is confirmed. Deposit asked for must be paid within 7 days of booking with us. Wavered deposits will still be payable for any cancellations. Payments outstanding on your booking confirmation must be paid at least 2 weeks prior to your event. Payments asked for on invoice must be settled within 14 days of the event or within 30 days for our residencies. Full payment will be required if less than 2 weeks to your event. Full payment on the night can be paid by cash to our DJ, prior to starting of the event, with agreement from Alltrack Promotions Ltd and were full payment cannot me made in time of the event. Pay: Alltrack Promotions Ltd, Bank: Yorkshire, Account Number: 20952820, kkkkkk Sort Code:05-06-21. For other ways to pay please see our website at www.alltrackpromotions.co.uk and go to our Payment Page for more details on How to Pay. Booking deposits and any monies paid for extra equipment ordered or reserved are not refunded or transferable under any circumstances and will be due if outstanding. Any cancellations or notified changes must be made in writing at least 30 days (2 weeks for our residential clients) prior to the date of the event. Any fees outstanding on your invoices will have to be settled before commencing with your next booking. Failed payment of any fees owed within 30 days after the date of the event may result in pending legal action and the termination of any agreements with Alltrack Promotions Ltd. We understand and will exercise our statutory right to interest and compensation for debt recovery costs under the late payment legislation if we are not paid according to agreed credit terms. Any extra equipment you require to add to your party will be subject to availability on the day and if we can’t supply we will refund you or use a substitute. No refunds will be given to any none fulfilment of a playing list. All bookings should be taken on the understanding that the venue is in possession of the necessary music, entertainment & liquor licenses. We are not responsible if the venue is found to be in breach of the terms of their license. The DJ and there assistants will conduct themselves in a proper manner throughout sitting of there attendance at the venue, and will respond to the Management's requests as to volume, equipment and, or any other reasonable requests. The client / hirer is responsible for any damage to our equipment caused by any person at your event. You will be charged for the full cost of any repairs, or replacements required. You will be advised of any damage as soon as it is caused. We do not tolerate violent, aggressive or abusive behaviour from anyone under any circumstances. We also reserve the right to terminate our services at any time that we feel our personal safety is under threat. We do not take responsibility for ejecting any unwanted persons from any venue. You will be advised of any problems that we may have in this respect with any of your guests. In the event of fire, flooding, public disturbance, terrorist activity or any other threat to the public, we will not be responsible to evacuate any venue or building where we are present and / or working within, unless the fire regulations for the venue specify otherwise. This would usually incur a vocal announcement. We need a minimum of one hour (2 hours on larger shows) to enter a venue and set up prior to the start time and also a similar time allowance at the end of the night to pack up. If you are booking other entertainment as well as hiring ourselves, please consider the amount of space available and where you are going to put the disco. Speaker location is usually best if it is no greater than 10 meters either side from the position of the presenter. We reserve the right to refuse to continue any event prior to the start should there be insufficient floor space which would not allow the audio and lighting equipment to be assembled safely. It is the customer’s responsibility to ensure equipment booked is suitable for use at the event venue. No refunds, part of full, will be given for non-use of specific equipment that cannot be used due to any venue restrictions imposed. Not all disco equipment is designed to fit through narrow doorways and/ or up staircases. It is the customer’s responsibility to inform us of any access restrictions that may impede set up or restrict equipment use. Only staff employed by us may operate our equipment. Under no circumstances may unauthorized personnel tamper, move or attempt to use equipment owned by ourselves. We cannot accept responsibility for damage to property, or injury to persons caused directly by third party intervention. We reserve the right to substitute alternative entertainment should uncontrollable circumstances dictate the need to do so. We will not be responsible for any damage or loss to private or public property caused by invited or uninvited guests. All our equipment that is used is checked prior to arrival and has been fully tested for safety by a qualified electrical engineer. If we are linking our equipment within a fixed in-house audio system, we reserve the right to refuse to do so if the equipment is considered to be unsafe or liable to cause damage to any component linked to it. The hirer is liable if post inspections prove that damage has been caused by faulty equipment other than ours. It is the responsibility of the hirer to make sure that there is an adequate provision of electrical power within ten meters of our set-up point. We require a minimum of 2 x 13 amp outlets dedicated purely for our equipment (not in the form of an extension lead). Any damage caused to our equipment by an inadequate power supply or power interruption is the responsibility of hirer. The hirer/client is fully responsible for any damage caused to the equipment caused by the use of noise limiters and the subsequent cut off and reintroduction of power without our consultation. We will not be liable for non-fulfilment of this contract by the Management and, or the DJ, although every reasonable precautions will be taken. In the event of the client seeking compensation, we will not be liable under any such claim, and the contracted DJ will only be liable for a sum up to and not exceeding the contracted amount. We will not be liable and no compensation will be paid for any act of nature, vehicle breakdown or any other act out of our control, that prevents us from turning up to your event. We will not be liable and no compensation will be paid for any unexpected equipment breakdown, although all attempts will be made to repair/replace the item(s). We will not be liable and no compensation will be paid for non-fulfilment of this contract for the hiring of our other event services. Terms and Conditions are subject to changes without notification. 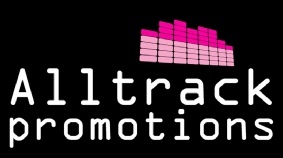 The Alltrack Promotions limited Web Site www.alltrackpromotions.co.uk (the "Site") is an online information service provided by Alltrack Promotions limited, subject to your compliance with the terms and conditions set forth below. PLEASE READ THIS DOCUMENT CAREFULLY BEFORE ACCESSING OR USING THE SITE. BY ACCESSING OR USING THE SITE, YOU AGREE TO BE BOUND BY THE TERMS AND CONDITIONS SET FORTH BELOW. IF YOU DO NOT WISH TO BE BOUND BY THESE TERMS AND CONDITIONS, YOU MAY NOT ACCESS OR USE THE SITE. Alltrack Promotions limited MAY MODIFY THIS AGREEMENT AT ANY TIME, AND SUCH MODIFICATIONS SHALL BE EFFECTIVE IMMEDIATELY UPON POSTING OF THE MODIFIED AGREEMENT ON THE SITE. YOU AGREE TO REVIEW THE AGREEMENT PERIODICALLY TO BE AWARE OF SUCH MODIFICATIONS AND YOUR CONTINUED ACCESS OR USE OF THE SITE SHALL BE DEEMED YOUR CONCLUSIVE ACCEPTANCE OF THE MODIFIED AGREEMENT. 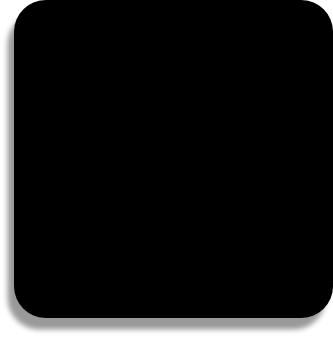 The entire contents of the Site are protected by international copyright and trademark laws. The owner of the copyrights and trademarks are Alltrack Promotions limited, its affiliates or other third party licensors. YOU MAY NOT MODIFY, COPY, REPRODUCE, REPUBLISH, UPLOAD, POST, TRANSMIT, OR DISTRIBUTE, IN ANY MANNER, THE MATERIAL ON THE SITE, INCLUDING TEXT, GRAPHICS, CODE AND/OR SOFTWARE. You may print and download portions of material from the different areas of the Site solely for your own non-commercial use provided that you agree not to change or delete any copyright or proprietary notices from the materials. You agree to grant to Alltrack Promotions limited a non-exclusive, royalty-free, worldwide, perpetual license, with the right to sub-license, to reproduce, distribute, transmit, create derivative works of, publicly display and publicly perform any materials and other information (including, without limitation, ideas contained therein for new or improved products and services) you submit to any public areas of the Site (such as bulletin boards, forums and newsgroups) or by e-mail to Alltrack Promotions limited by all means and in any media now known or hereafter developed. You also grant to Alltrack Promotions limited the right to use your name in connection with the submitted materials and other information as well as in connection with all advertising, marketing and promotional material related thereto. You agree that you shall have no recourse against Alltrack Promotions limited for any alleged or actual infringement or misappropriation of any proprietary right in your communications to Alltrack Promotions limited. Publications, products, content or services referenced herein or on the Site are the exclusive trademarks or service marks of Alltrack Promotions limited. Other product and company names mentioned in the Site may be the trademarks of their respective owners. You understand that, except for information, products or services clearly identified as being supplied by Alltrack Promotions limited, Alltrack Promotions limited does not operate, control or endorse any information, products or services on the Internet in any way. Except for Alltrack Promotions limited - identified information, products or services, all information, products and services offered through the Site or on the Internet generally are offered by third parties, that are not affiliated with Alltrack Promotions limited. You also understand that Alltrack Promotions limited cannot and does not guarantee or warrant that files available for downloading through the Site will be free of infection or viruses, worms, Trojan horses or other code that manifest contaminating or destructive properties. You are responsible for implementing sufficient procedures and checkpoints to satisfy your particular requirements for accuracy of data input and output, and for maintaining a means external to the Site for the reconstruction of any lost data. YOU ASSUME TOTAL RESPONSIBILITY AND RISK FOR YOUR USE OF THE SITE AND THE INTERNET. Alltrack Promotions limited PROVIDES THE SITE AND RELATED INFORMATION "AS IS" AND DOES NOT MAKE ANY EXPRESS OR IMPLIED WARRANTIES, REPRESENTATIONS OR ENDORSEMENTS WHATSOEVER (INCLUDING WITHOUT LIMITATION WARRANTIES OF TITLE OR NONE INFRINGEMENT, OR THE IMPLIED WARRANTIES OF MERCHANTABILITY OR FITNESS FOR A PARTICULAR PURPOSE) WITH REGARD TO THE SERVICE, ANY MERCHANDISE INFORMATION OR SERVICE PROVIDED THROUGH THE SERVICE OR ON THE INTERNET GENERALLY, AND Alltrack Promotions limited SHALL NOT BE LIABLE FOR ANY COST OR DAMAGE ARISING EITHER DIRECTLY OR INDIRECTLY FROM ANY SUCH TRANSACTION. IT IS SOLELY YOUR RESPONSIBILITY TO EVALUATE THE ACCURACY, COMPLETENESS AND USEFULNESS OF ALL OPINIONS, ADVICE, SERVICES, MERCHANDISE AND OTHER INFORMATION PROVIDED THROUGH THE SERVICE OR ON THE INTERNET GENERALLY. Alltrack Promotions limited DOES NOT WARRANT THAT THE SERVICE WILL BE UNINTERRUPTED OR ERROR-FREE OR THAT DEFECTS IN THE SERVICE WILL BE CORRECTED. YOU UNDERSTAND FURTHER THAT THE PURE NATURE OF THE INTERNET CONTAINS UNEDITED MATERIALS SOME OF WHICH ARE SEXUALLY EXPLICIT OR MAY BE OFFENSIVE TO YOU. YOUR ACCESS TO SUCH MATERIALS IS AT YOUR RISK. Alltrack Promotions limited HAS NO CONTROL OVER AND ACCEPTS NO RESPONSIBILITY WHATSOEVER FOR SUCH MATERIALS. IN NO EVENT WILL Alltrack Promotions limited BE LIABLE FOR (I) ANY INCIDENTAL, CONSEQUENTIAL, OR INDIRECT DAMAGES (INCLUDING, BUT NOT LIMITED TO, DAMAGES FOR LOSS OF PROFITS, BUSINESS INTERRUPTION, LOSS OF PROGRAMS OR INFORMATION, AND THE LIKE) ARISING OUT OF THE USE OF OR INABILITY TO USE THE SERVICE, OR ANY INFORMATION, OR TRANSACTIONS PROVIDED ON THE SERVICE, OR DOWNLOADED FROM THE SERVICE, OR ANY DELAY OF SUCH INFORMATION OR SERVICE. EVEN IF Alltrack Promotions limited OR ITS AUTHORIZED REPRESENTATIVES HAVE BEEN ADVISED OF THE POSSIBILITY OF SUCH DAMAGES, OR (II) ANY CLAIM ATTRIBUTABLE TO ERRORS, OMISSIONS, OR OTHER INACCURACIES IN THE SERVICE AND/OR MATERIALS OR INFORMATION DOWNLOADED THROUGH THE SERVICE. BECAUSE SOME STATES DO NOT ALLOW THE EXCLUSION OR LIMITATION OF LIABILITY FOR CONSEQUENTIAL OR INCIDENTAL DAMAGES, THE ABOVE LIMITATION MAY NOT APPLY TO YOU. IN SUCH STATES, Alltrack Promotions limited LIABILITY IS LIMITED TO THE GREATEST EXTENT PERMITTED BY LAW. Alltrack Promotions limited makes no representations whatsoever about any other web site which you may access through this one or which may link to this Site. When you access a non-Alltrack Promotions limited web site, please understand that it is independent from Alltrack Promotions limited, and that Alltrack Promotions limited has no control over the content on that web site. In addition, a link to a Alltrack Promotions limited site does not mean that Alltrack Promotions limited endorses or accepts any responsibility for the content, or the use, of such web site. You agree to indemnify, defend and hold harmless Alltrack Promotions limited, its officers, directors, employees, agents, licensors, suppliers and any third party information providers to the Service from and against all losses, expenses, damages and costs, including reasonable attorneys' fees, resulting from any violation of this Agreement (including negligent or wrongful conduct) by you or any other person accessing the Service. The provisions of paragraphs 2 (Use of the Service), and 3 (Indemnification) are for the benefit of Alltrack Promotions limited and its officers, directors, employees, agents, licensors, suppliers, and any third party information providers to the Service. Each of these individuals or entities shall have the right to assert and enforce those provisions directly against you on its own behalf. This Agreement shall all be governed and construed in accordance with the laws of United Kingdom applicable to agreements made and to be performed in United Kingdom. You agree that any legal action or proceeding between Alltrack Promotions limited and you for any purpose concerning this Agreement or the parties' obligations hereunder shall be brought exclusively in a federal or state court of competent jurisdiction sitting in United Kingdom . Any cause of action or claim you may have with respect to the Service must be commenced within one (1) year after the claim or cause of action arises or such claim or cause of action is barred. Alltrack Promotions limited’s failure to insist upon or enforce strict performance of any provision of this Agreement shall not be construed as a waiver of any provision or right. Neither the course of conduct between the parties nor trade practice shall act to modify any provision of this Agreement. Alltrack Promotions limited may assign its rights and duties under this Agreement to any party at any time without notice to you.